Your success is our success, and the first step on your journey is choosing a career goal. 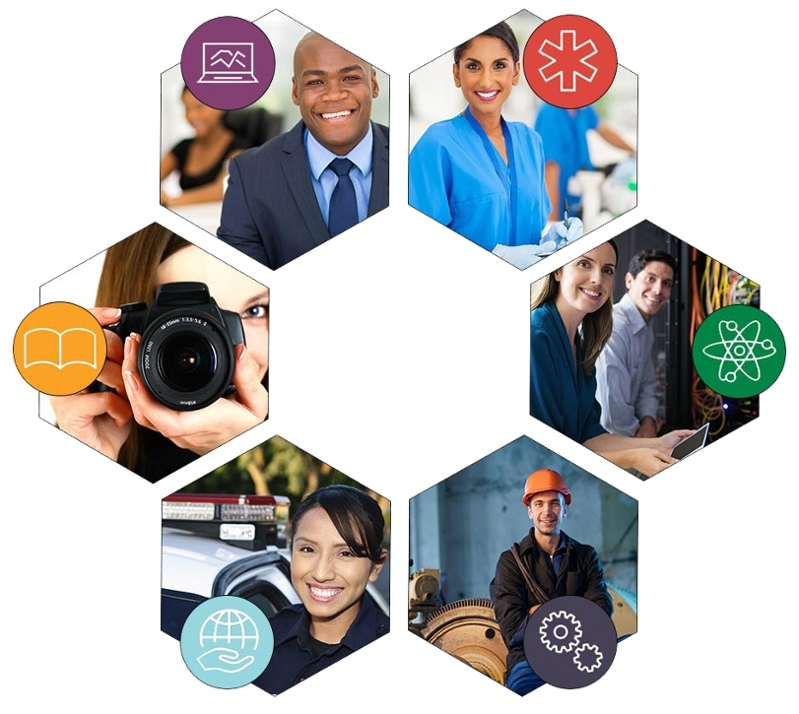 To help you identify your areas of interest and make things a little easier, we have organized all of our programs and courses into six Career Pathways—Advanced Manufacturing and Logistics, Arts and Humanities, Business and Entrepreneurship, Health Sciences, Public Services, and Science and Technology. It’s designed to help you plan for your future, lessen time to degree and save you money. You’ll take only the courses you need to either be ready to enter the workforce or continue your studies and transfer to a university. So take a minute to explore our Career Pathways and start your adventure at Grayson!